We are pleased that the recent initiative of the Dean's Office on graduate funding has helped to begin a discussion within the School on this issue. We also agree, as the "five-plus-two" model suggests, that seven years be seen as the duration it takes to complete critical, research-focused projects and prepare for the job market. We suggest, however, that the five-plus-two model is insufficiently thought through, and that many foreseeable negative consequences follow from its implementation. The Associate Dean Herbert has suggested that five-plus-two is cheaper, but that it would also provide students with some academic benefits. For reasons outlined in the attached document, we suggest that the rhetoric of academic benefit be dropped, and the five-plus-two model be regarded primarily for what it is: a model that aims to save money by increasing adjunct labor, at the cost of thorough and well-supported graduate research. While faculty and students have been encouraged to seek further information on five-plus-two itself, we regret, that up to this point, faculty and graduate students have been excluded from a general conversation on the issue of student support. The particular character of the five-plus-two proposal reflects that exclusion. It ought to be noted that out of ten departments and programs within the School only three, Visual Studies, History, and Philosophy, decided to implement this initiative during the 2015-16 funding cycle. We believe that SOH should have a funding model that has received the support of its faculty and students, not one that sets out to create two tiers within it. What kind of graduate training does this model presume? By shortening and incentivizing time-to-degree to five years, five-plus-two expressly devalues research and undermines critical, research-based dissertations. By increasing teaching load through the Assistant Adjunct Professor (AAP) positions in years six, and now only potentially renewable for a year seven, the model undermines the continuation of that research. Please consider adding your name to the following document to express your concern about the implications of this funding model. To do so, comment on this post with your name and university affiliation (if any). We, the undersigned, are concerned that the Office of the Dean in UCI SOH is pursuing a funding model, the so-called “five-plus-two” model, which has very limited support throughout the School. Five-plus-two is supported by only three out of the ten departments and programs. As such, we find it problematic that the Office of the Dean is so vigorously supporting this funding model. The program does not have the legitimate basis of support within the School for an appeal to outside funding bodies such as the current application to the Mellon Foundation. In our estimation five-plus-two presents a problem for a number of departments as it would: a) compromise the expected standard of the dissertation within the relevant field of study by enforcing a time-to-degree of five years; b) compromise the extra-dissertation expectations of the department, such as field coverage, emphasis work, foreign language competency, and archival work; c) put undue pressure on faculty to prematurely approve students through the program, given the proposed "checkpoints" in years three and four; d) limit the capacity of departments to accept those students who do not have prior graduate work, or who may be inclined to change fields or add areas of expertise, and who may have lower test scores for whatever reasons—including English fluency—but propose interesting projects. As it stands, five-plus-two tiers students within the School, making discretionary fellowship funds disproportionately available to those students within programs that have adopted the funding model (departments which will have had to accept five-plus-two as the only funding package for their incoming students). Under five-plus-two, previously competitive Dean's Fellowships are awarded to support the fellowship expense of five-plus-two students. At the same time, the availability of Summer Dissertation Fellowships has fallen to a record low of four as of this year. Five-plus-two therefore prioritizes and privileges a certain type of student and a certain type of project, devaluing the time and resources required to produce competitive academic research. It is not clear that students who obtain Assistant Adjunct positions in their final years will have the time or departmental relation to facilitate thorough research, especially while being on the job market. Supplementation with so-called “alt-ac” professionalization represents a stopgap measure and does not substitute for the support and encouragement of excellent and competitive academic research. The five-plus-two funding model strongly internalizes a time-to-degree logic that privileges students who appear to be safe bets—including those with the extra-institutional resources—while negatively impacting those students who may experience extra-institutional limitations on their time, including those who support, or who may start families. SOH administration and those on the Reconstitution Committee expressed concern over adjunct labor but have as yet no program to address adjunctification. "Five-plus-two" is a model of adjunctification, not one that addresses it. Research and teaching, previously done by graduate students within departments, is under this program to be done by stand-alone adjunct-laborers. Further, the AAP position, unlike full-time lecturer positions, is capped at one year and possibly one year of renewal, meaning that there is no access to even the promise of job-security through unionization. As such, graduate students will be forced to give up the protection of both the graduate student union (UAW 2865) and the lecturers’ union (UCAFT 2226) during their most precarious years of employment as AAPs. While the five-plus-two model increases adjunct labor, it also assumes that adjunct labor doesn't already exist. Currently Hum Core is taught by a combination of graduate students and, often, recently graduated lecturers who support themselves while on the job market. By forcing Hum Core to absorb incoming five-plus-two students in the future, those who currently teach Hum Core and Composition--often graduate students or UCI graduates with greater experience—may be displaced. Thus it is a question of priority, not a question of resources. There have never been more composition sections and there have never been fewer SOH grads. It is our contention that the UCI School of Humanities and its administration should seek to support its graduate students in the completion of competitive research, with sufficient training in their field(s). It is widely recognized within the school that work which is critical, research-focused, interdisciplinary, and requiring language skills takes six to seven years. This is especially the case for less privileged entering students. The School should seek to pursue either funding packages that cover this duration, and/or post-doctoral research positions after graduation. Forcing students to graduate prematurely and then employing them on short-term AAP contracts with an increased teaching load may save money. However, such a funding model devalues carefully advised student research and, as a result, success on the job market. The School should seek to make more courses available for research-qualified students to teach, increasing not only the breadth and depth of undergraduate education, but also preparing graduate students for teaching in their future fields of expertise. The School as a whole suffers from a downward pressure on the number of its graduate students, and an increased, albeit externally produced, emphasis on speed of completion over quality of work. Should the Mellon grant be accepted and departments forced to opt in to a funding model constructed without their knowledge, input, or consent, we request that all measures be taken to reconfigure the terms of the grant’s disbursement in such a way that would secure more sixth and seventh year fellowships in accordance with a school-wide prioritization of rigorous and thoughtful academic research, a prioritization that would reflect commitment to maintaining the School's international reputation. How does a graduate student in the humanities make a living? I entered graduate school at UC Irvine in 2009, amidst the Great Recession. Ignited by the subprime mortgage and financial crises, the economic recession brought on a new wave of budget cuts to the public university. This (mis)management of the crisis is part and parcel of the turn, starting around 1973, toward neoliberal privatization, which, it can be argued, was what led to the recession in the first place. The series of budget cuts fell especially hard on the humanities, at a time when departments were measured based on numerical standards that plague public education at large (see, for example, Diane Ravitch’s The Death and Life of the Great American School System). At UCI, one of the manifestations of this was the designation of certain departments, notably diverse ones, as needing attention, concurrent with the intent to cut language and humanities requirements from the undergraduate curriculum. (For more on the “needs attention” designation, see this reading guide, which highlights the conservative notion of the humanities on which it was based, and this elaboration of consequences, one of which was the freeze on faculty recruitment.) In other words, humanities departments were threatened for not having enough majors and/or enrollment at the same time that policies were contemplated that would have the effect of keeping their numbers low. This was done at the same time that their very existence was thrown into question based on doubts regarding their ability to “pay for themselves” (see, for example, this account by a UCI professor and administrator). Responses (such as this and this) to this supposedly “numerical” assessment of department productivity point out not only that the cited numbers are wrong (at times maliciously, against diversity), but that they fail to comprehensively take into account the work that department members perform, including, notably, scholarly research (!). This context is better documented and debated about elsewhere. I mention it here to ground my own discussion, which aims to look at the working conditions by which students have to live as they pursue their PhDs. Graduate students are not necessarily the ones worst affected by the budget cuts, but we are certainly there at the bottom. It is also not the case that these recent cuts caused our current working conditions. What I describe here through my personal experience has been true for a while; in fact, these conditions define the structure of humanities graduate education in the US, compounded by the neoliberal trend toward privatization, the budget cuts being one of its symptoms. So how do humanities graduate students make a living? For the most part, graduate students support themselves through teaching assistantships, also known as TAships. Fellowships are available to some as well, but they typically last only a year, maybe two, and they are not adjusted for inflation (my fellowship this year, 2014-2015, of $2,000 a month for 9 months is the same as what I got during my first year, in 2009-2010). Graduate education in the humanities lasts 5-7 years, so for most of one’s graduate career, TAships constitute the major lifeline for the student. How much does one make as a TA? In 2013-2014 (the last time I was a TA), my annual pre-tax income was $17,655. This is considered a 50% teaching appointment, so it’s supposed to be earned by working 20 hours per week. This breaks down to about $1,962 per month, a rate of $24.52 per hour. Looking only at this per hour rate would lead to the wrong conclusions about graduate student working conditions. First of all, let’s look at it in relation to the cost of living: $1,962 a month is hardly a livable wage in Southern California. According to the living wage calculator (based on the 3/24/2014 update), the living wage for a single adult in Orange County (where UCI is) is $13.12 per hour, which translates to $2,099.20 per month ($13.12 multiplied to 40 hours per week times 4 weeks; this is actually an understatement since the living wage calculator presupposes 2,080 working hours per year, which is about 173 hours per month). So we’re almost there, but not quite. But even this does not give the full picture. Graduate students earn $1,962 per month only during the school year, i.e. for 9 months. For a full 3 months in the summer, we don’t have any income, or can’t rely on our job for an income. So for 3 months, we’re making $0 in relation to a $2,099.20 monthly living wage, those $6,000+ having to be made up for by the income we make the rest of the year, which already falls short of the living wage. So the $1,962 per month we make is, if we take the three summer months into account, really more like $1,471.25, and we’re supposed to live on that in California. One can argue: well, can’t you get a teaching job in the summer? If you’re lucky. I’ve been doing that for the past 4 summers, but this year, because of my fellowship, I didn’t get offered a teaching position. And if you do get summer teaching, you’re supposed to teach for 10 weeks, and get paid for only 8, at a rate of $1,648 per month in 2013, way below the $2,099.20 living minimum, and, let’s not forget, with one month still unpaid for. In other words, we can’t look at the per hour rate without looking at things such as the cost of living. And even if we focus on the per hour rate, we have to look at cumulative totals. Again, the $24.52 per hour ($18.39 if we spread it out to the whole year) is supposed to cover 20 hours of work. This is misleading. First of all, this per hour rate has a ceiling, namely, the $17,655 income per year, $1,962 per month for 9 months (more like $1,471.25 per month for the whole year). While the per hour rate looks good, you can’t work, as it were, more than those 20 hours (say, by teaching another section) to get a higher monthly or annual income. Technically, you can get a second non-teaching job, but let’s remember that there are costs and barriers to entry in any industry, which would be characterized by yet another pay scale. More pointedly, you already have a job: shouldn’t one full-time job be enough to cover your cost of living? Yes, graduate school is a full-time job, and more. In a more important sense, you really can’t work more than the preset 20 hours because, in actuality, you are working more than 20 hours. Let’s see what “20 hours” really mean. They designate the hours a graduate student is supposed to work as a TA. For composition classes, the appointment most commonly available to graduate students, TA duties include class instruction, class preparation, grading, office hours, responding to emails, attending staff meetings, etc. Composition classes at UCI have 21-23 students (this went down to 19 this year, still not low enough), so 20 hours is less than an hour devoted to each student per week. And if a student in particular need comes to you after 20 hours, I guess you’re supposed to say: Ooops, sorry, already done my 20? In other words, “20 hours” do not accurately measure graduate TA work. More importantly, TA work is not the only component of graduate work. What about taking graduate classes, doing research, fulfilling program requirements (the MA review, foreign language exams, the qualifying exam, the writing of the dissertation …), professionalization—in other words, what about the student’s own work, i.e. graduate scholarship? The “20 hours” do not take that into account. In this simplest sense, scholarship, what graduate students went to graduate school for in the first place, is, technically and in actuality, unpaid. But of course everybody knows that TAships are there to support graduate scholarship. In other words, the $17,655 annual income ($1,962 or, more accurately, $1,471.25 per month) is supposed to cover both teaching and study. If we accept this line of argument, what would the per hour rate of graduate work be? Let’s say that one only spends 20 hours a week for teaching. What about studying? How many hours does a student spend on that? For me—and I would say this is pretty typical of graduate students—it’s everyday and all the time. But let’s say we want to quantify it. One starts one’s graduate career by fulfilling coursework, and irresponsible classes assign one book a week (at least) with no identified selections; in a semester or quarter, one usually takes 3 classes, so that’s about 3 books a week. Let’s say one manages to do that work by spending 40 hours a week (a modest estimate, as any graduate student knows). Added to the teaching hours, we can say then that a graduate student works 60 hours a week, i.e. more than 8 hours a day, 7 days a week. To highlight just how modest this estimate is, at the end of the term, on top of all the readings, presentations, and participation, the graduate student is supposed to write a paper of graduate caliber for each class. In the school term modeled after mass production also known as the quarter system under which UCI operates, we’re supposed to come up with that within 10 weeks at the same time that we’re grading our own students’ papers, all 21-23 of them. But again for argument’s sake, let’s just say that a graduate student spends 60 hours a week teaching and studying. What is the graduate student per hour rate, then? It’s $8.18 or $6.13 (depending on whether the summer months are included). That’s below the $9 per hour minimum wage in California. There’s another term for that: exploitation. I can anticipate two objections to this conclusion. First is the objection that graduate study is unpaid because it’s school, not work. The best variation of this argument states that graduate study is an investment for a future profession that affords the investor the ability to recoup the original investment, plus a substantial profit (the stereotype of the tenured professor who doesn’t even work anymore). I don’t dismiss the notion of investment per se, and I don’t think it’s necessarily capitalistic (after all, the same notion appears in psychoanalysis, even schizoanalysis, under the name cathexis, which is more than economic, narrowly speaking). But everyone knows that humanities PhDs face a saturated job market with precarious prospects in which, for example, tenure is increasingly replaced by adjunct positions. If graduate study is an investment, overwhelming evidence suggests that its structure is broken, in which case it really isn’t working as an investment, and there, it seems, is no “too big to fail” clause to protect student investors. Similarly, if we are to maintain the argument that school is an investment, then it has to be admitted that it is characterized by disproportionately (fatally?) high risks, which should warrant exceptionally high rewards for those who survive attrition and succeed in the job market. If we think this, however, it does get us into a capitalistic mode of thinking regarding something that is not solely or primarily about making money. That is, this logic inserts the humanities within a capitalist framework focused on making money and which reifies risk, at the price of labor. Indicative is the way in which this line of thinking attributes investment only to individuals, ignoring the social conditions that make investment possible and to which, in many ways, what is invested returns. More pointedly, this future-oriented notion of investment that accepts exploitation at all costs no matter how bad the present working conditions fails to see investment as itself work that, like the workers, ought to be accorded respect and protection. The second objection points out that while, in terms of wages, graduate study is indeed unpaid, in another sense, it is paid, since the TAship or fellowship pays for the graduate student’s tuition and other fees. Against this, I would point out first of all that not all of a graduate student’s fees are paid. My winter 2014 bill says that my fees amount to $5,184.50, of which $4,928 is covered by my TAship. In other words, on top of the fact that I’m already short of living wage every month, somehow, every quarter, three times a year, I’m supposed to be able to come up with $256.50 to pay for school. One can add $5,184.50 times 3 (for three quarters a year) to graduate student TAship income to come up with graduate student “gross” income, but this is a dubious proposition. First of all, graduate students do not get that money; in fact, as I pointed out, we have to make up for the difference. Secondly, at UCI, we are at a public university. Counting university fees as part of student income (how much a student “makes” a year) plays into the neoliberal discourse that views education as a commodity that each individual customer has to pay for—anyone who does that has no place in public education. Against this, public education’s own raison d'être should lead it to assert in no uncertain terms that education is a public good that is integral to the collective work of the community, hence a social resource and responsibility. Needless to say, this post is not intended as an attack on UCI or public universities; rather, the goal is to use my experience at UCI in an attempt to describe graduate student working conditions. Likewise, the post is not meant to dissuade prospective students from going to graduate school in the humanities. I do sometimes find myself resenting graduate school, or my younger self for being naïve, or planning badly. However, while deciding not to pursue a PhD is a legitimate response to such conditions—and I argue that any prospective student should know about them—I would point out that arguing that no one should go or that you shouldn’t go to graduate school because of your financial profile undermines graduate education and, more broadly, scholarship. It takes part in the cycle in which because no one “wants” to go (which morphs easily enough into: it doesn’t matter, the work it does has no value), well, then, let’s get rid of it … Rather than a warning cry telling others to jump off the ship, the post is more of an attempt to convey something like, See what we’re going through, and fight with us, fight for the humanities, and, indeed, for education (what is happening, after all, is not limited to the humanities). Teaching and scholarship, at least in the humanities, are not primarily about money; at the same time, however, money is what feeds the teacher/scholar, what gives him a roof over her head … I must admit that these sacrificial (tragic) or heroic (comic) conditions to which graduate students are put makes me very angry, indeed—certainly the sane and, I argue, politically viable response. At the same time, I think it’s important not to pour out anger indiscriminately, but to direct it to the appropriate targets, to the real causes. It is vital, after all, to understand precisely the nature of our wounds. We saw the concern and content of the recent deliberation and feedback session (Dec. 10) of the Reconstitution Committee in two ways: 1. types of application: i.e. where SOH should direct itself to, and, 2. the kinds of skills in which SOH is valuing to embark upon that application. It is fair to say that we felt a particular concept of criticality to be lacking, both in the Committee's articulation and implicitly in the suggested spheres of application. The point of departure for critical thinking as we understand it, and how we see it "embedded" within UCI SOH, is to understand the application of our work, collaboration and teaching in a critical way. First and foremost we understand critical thinking to be practiced when the terms of the study being done are themselves the objects of study. We felt this perspective entirely absent from the Committee's presentation and Q&A responses. As such we listened with concern to the paths and tracks that the re-articulation of SOH were being directed to. Almost all of the committee's suggestions for future work and collaboration within SOH were directly concerned with, or saw their task as how to "embed", relatively new areas that are currently sources of funding opportunities. These included projects associated with "public humanities", "digital humanities" or "the digital", all of which were said to "facilitate and enable the work that is already being done". Humanities work, when it was to be extended, was to be extended in "multimedia ways"; clusters were to be composed "with publics in mind". Indeed, it was suggested that "in order to generate the kind of public support Humanities needs, one needs to cultivate publics," to the extent that this would be a consideration before, or concurrent with, the organizing of research. Thus we would suggest that part of what we mean by "critical thinking" is to think otherwise, including specifically about, terms of engagement and areas of application that the Committee has so far set out. In embarking upon these areas of application the committee outlined a long list of skills or important abilities that SOH would want to keep in mind and utilize. There was general consternation from the Committee that many of the things we suggested were absent are not in fact already folded in, or assumed. We would argue against this position as well as suggesting the deficiency cannot be covered by "critical thinking" merely being placed in the long list the committee gave us under the "three arts". We do not wish to simply name supplementing qualities in-addition to those already named. Rather our concern is about where those qualities are to be directed and in the service of what. It cannot simply be about about using the phrase "critical thinking," which is often invoked in a non-critical way, as though it were an area, but rather about enacting it already. It often seemed that criticality was identical in the Committee's minds to studying; that all "studies" that the Committee was moving toward are in fact by definition "critical". We would ask the Committee, given that it is imagining the future spheres of application for SOH work and types of engagement, to define the criticality that they see—if it is already embedded or folded in—being preserved? Could you point to the place where it's preserved? What, for instance, is something that you consider to be "un-critical" and something the Committee would intend to avoid? The type of critical thinking that we are concerned to support within SOH and identify with, is not only practiced in many of the "Needs Attention" departments but committed-to. This is not to say that those are the only places that critical work takes place, or can take place, rather that those departments serve as a model for how critical thinking is embedded and something that in our view the Committee must align itself explicitly with. For instance from Culture & Theory: "to examine productively the intersections of Critical Theory with race, sexuality and gender studies through a problem-oriented approach... a problem-oriented rather than a disciplinary approach to issues of race, gender and sexuality in relation to diasporas, transnational and postcolonial contexts." What's critical about this is that the "issues" will be taken as problems in the first place and not just as topics or areas or histories. That is, how the issues can come into being and be as they are at all is a focus of analysis. It is such an approach that is currently absent as we see it from the Committee's approach. This is one example, what we want stressed is a commitment to critical thinking and a different perspective from the Committee which meets what that means. It means something to us; it is not a quality to be kept in mind. In questioning the verticality of the composition and actions of the Committee we are raising the problem of the production of knowledge as a problem of power; in questioning the move toward the digital and public humanities, even though those forms do not preclude analysis in themselves, we are questioning the idea that the categories of application and systems of funding are not sufficient explanations in themselves for future work, but are objects for critique. We are in a dangerous position at UCI, because not in spite of the history of Critical Theory on our campus. It is all too easily invoked and we must not forget to define it, not in-itself as such, by what it means for us in practice, yes, but more importantly by the places we find valuable to practice in. If what we are facing is really a moment of reconstitution, we would like to see represented a focus on not only the wider SOH community, but also the structural conditions of the Humanities within the Academy. To this end—and it surprises us how off the committee's radar this was given the charge to think about the future of Humanities education—we would expect the Committee to engage the whole question of a relative lack of post-PhD employment within the academy, not to think of ways of solving this problem, but to see this problem as redefining the Humanities itself. The most pressing issue facing the humanities academy and the academy as a whole is the replacement of the tenure system with non-guaranteed, zero-benefit, short-term adjunct contracts. 75% of higher education faculty are now adjuncts. The tenure system is being replaced, and there is the widespread sense that tenured faculty have implicitly or explicitly supported this process. The committee must take a stand on this issue, even if it places them at odds with broader UC administration We would welcome discussion on how adjuncts could be better supported and of generally breaking down the verticality that persists among the majority of tenured-faculty, including the sharing of teaching with adjuncts. Relatedly we find particularly problematic the eagerness with which non-academic or "alt-ac" opportunities are being pushed on humanities graduate students, especially as the primary answer to the crisis of jobs within the Academy. The non-academic job market suffers from the same problems of scarcity and hierarchy that plagues the academy. Such focus betrays a considerable blind-spot and/or refusal to engage the problem at the structural level. Why is this being discussed without also putting on the table for reconsideration the massive shifts in funding away from teaching and hiring of permanent faculty and towards the growth of administration and investment in digital technologies, even within the Humanities itself? In concentrating so wholeheartedly on "alt-ac" the committee and SOH generally is not only passing over important discussions, but occluding essential conversation for anyone involved in Humanities academia. We would suggest that the Committee think of ways to address these issues, whilst considering whether a moment of reconstitution, as an occasion, can be let pass without a statement of solidarity that would "re"constitute SOH as a community, i.e. to workers, adjuncts, and TAs, that has been missing throughout the period of cuts. It is a shame that the "imagining" of what UCI humanities could or should be is a simple one: to procure capital. It must be said that this was not a promise or guarantee, at times the imagining was less: to direct ourselves toward the potential of procuring capital. Thus we would suggest that part of what we mean by "critical thinking" is a diversification against the instrumentalization of Humanities education at UCI that the Committee appears to be at least in partial pursuit of. Critical thinking as we understand it includes thinking otherwise than funding trends. It is of course not surprising to us that the trends that the committee expressed follow UCI and UC wide trends. To be clear these are as follows: increased centralization, especially in the distribution of resources; general unaccountability in the forms (i.e. ad-hoc committees) that provide information to decision-makers (often unaccountable themselves); pressures to instrumentalize certain forms of collaboration, seen also in the move to promote inter-school activity, especially felt upon the Humanities. These are trends—centralization; unaccountability; instrumentalization—expressed in EVP Gillman's "High Impact Hiring Plan" in which there is a centralization of decisions through the EVP's office and a large stress put on inter-school hire. We see the latter aspect as a move of instrumentalization and thus against critical thinking because of the way in which inter-school pressures are likely to fall. Thus we are somewhat suspicious of the unrestrained use of "collaboration" and "interdiscilplinarity" that the committee sought to invoke. The Committee's unspecified use of the latter term must be inflected with substance: it must be interdisciplinary work that is being valued not inter-institutional exchange. It concerns us that the committee is buying into a perception that the humanities is only valuable as a supplement to 'harder' disciplines (disciplines easier to immediately instrumentalize) and not also on its own terms. To continue outlining what a critical perceptive toward SOH would be, i.e. the application of "critical thinking", we would suggest it would be valuable to redress an idea that Humanities is mis-understood and thus must begin from a starting point of showing why it is worthwhile. Indeed because Humanities public education is actually more reliant upon both University and State funding, we should resist the neoliberal rhetoric that suggests—along the lines of capital more generally and something that has proved destructive for all sorts of public projects over the past 30 years—we must be answerable to capital, that we are "value for money". To continue articulating what we mean when we say "critical thinking", i.e. to work against the three predominant trends named above (centralization; unaccountability; instrumentalization), we would like to highlight the presence of these trends in the feedback from the committee in both its form and content: First, with regard to centralization, we would like for you to be more specific in terms of a centralizing trend of "coordinating" grad admissions across the humanities. If a grad applicant was good for multiple departments would that become a criterion? If shared areas developed out of the dean's call for clusters, for example, would the existence of clusters become arguments for taking students in subfields that worked well with them (and so not taking others)? These would be centralization moves that fit with the centralization move in curriculum of making "core" courses for humanities students. We are concerned that individual small departments would wind up with fewer students per unit and that faculty and grads could wind up with fewer graduate courses, and less discretion over grad courses. Second, with regard to unaccountable processes we would again like to return to the nature, actions, and composition of the committee to which these submissions have asked to be addressed. The committee itself is symptomatic of UCI and UC wide trends toward unaccountability. It is itself a manifestation of what we don't mean when we talk of taking a critical thinking perspective. The composition of the committee—which initially solicited nominations from departments then did not follow up on those nominations—was unclear to faculty and students alike. After its composition the committee worked, and continues to work, in a vertical manner, i.e., without graduate or undergraduate student involvement. As previously discussed the committee made itself available for 5 meetings with faculty, to which requested access was denied, for a total of 7 and a half hours to graduate students 1 meeting after all the faculty meetings (in finals week, rearranged to a later time two weeks after the initial time was set) over the course of 1 and a half hours. We appreciate the multiple meetings were not for sustained engagement with the same faculty, but it is hard not to see how more would not have been gleaned, and more was intended to be gleaned, from engagement with faculty. These are not petit gripes they suggest a disposition toward the value of students in the process and the value of students in Humanities education at UCI. We would suggest that graduate students and adjuncts who face the contingencies of both academic and non-academic labor have a far better understanding of current system's shortcomings than those who have benefited from that very same system. For this reason, an original reconceptualization of the humanities is more likely to come from those who have not material stake in the current system. Therefore, if the committee wants to make an impact at the university or in the academy, they should be led by those at the bottom of the current academic hierarchy. Third, as we will discuss in further detail below, the third trend of "instrumentalization" was apparent in the sustained use of "portable capacities" and the places to which those capacities were being taken to, i.e., towards funding procurement at best, and outside academia at worst. Thus what the committee phrased as a problem of collaboration—maybe it wants to re-examine its terms—was rather often felt by us to be a problem of resource. Unfortunately many questions of collaboration were thus buried under the concern for resource. If the committee is genuinely interested in how to make SOH a more interesting and critical environment it ought to detach itself, at least partially, from the chase for resource. We see one of the roles of Humanities within the university to be a critical wing of the institution which would mean critiquing the dominant trends of centralization, unaccountability (i.e. ad-hoc committees) and an instrumentalization of Humanities generally. Within this climate stands a common concern among graduate students for "Needs Attention" units. This was not only because of the destructive legacy of that memo—although, that remains something that the committee unfortunately must address given it serves as its institutional precedent—, but because of the pressure that certain types of collaboration could have, especially if collaboration is actually standing in for funding procurement. 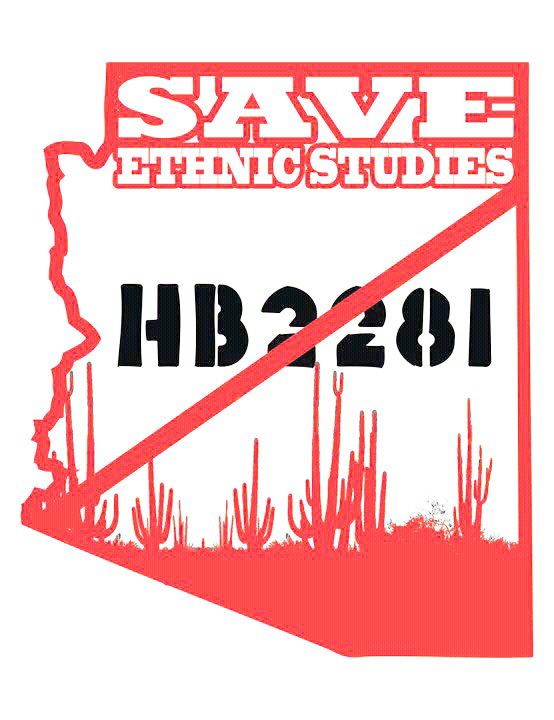 Thus in any articulation of SOH future should be inscribed a support for small ethnic studies and interdisciplinary departments, including the type of instruction which must occur in small groups. We are concerned that the rearticulation of core values and of what humanities offers in general, does not reflect the particular kind of 'critical thinking' done in departments flagged in the Needs Attention memo (the kind of approach we find valuable was addressed in point 1. of this submission). We feel strongly that such departments offer a distinct kind of critical enlargement, critical politicization, and critical reorientation of thought. We would suggest that it would be worth considering revamping the general education requirements and/or developing a certificate program in critical politics or something of that nature. We would like to see something like critical politics more clearly and specifically on the radar as a crucial competency and value. Further the committee suggested that a concern about precarity—previously said to be the concern of the departments named in the "Needs Attention" memo—now affects all graduate departments, not those just historically and continually under-threat. Additionally it was suggested that small departments now actually, inversely to their previous position, represent the "model" for SOH. To this we would say two things: first, the rationality that suggests that because Humanities education is felt as a crisis across all departments, (i.e. if it is a crisis for English and History it must really be a crisis now) is of a particularly problematic mentality. Second, it remains the trend of UCI and the UC system to seek "flag-ship" hires who will be supported by hiring-clusters; emphatically the trend is not to a de-centralized approach and trust in what smaller departments can do. In regard to the already articulated values that the committee put forward we are not saying they necessarily, (i.e. will in every situation) exclude. Our concern is that these departments end up losing some of their autonomy in particular forms of interdiscilplinary engagement, especially when instrumentalization is the mode of that engagement. For instance if things are based on creating clusters that are cross-disciplinary the concern, because of both crude numbers and institutional strength—as well as their inherent resistance to the trends outlined above—is that these departments in not being insulated by the process itself, will suffer. An issue that affects our lived-experiences as graduate students is the issue of faculty workload. This is an important issue because it has in fact been at the center of debates regarding the future of humanities at UCI. Disagreements about workload, and how to measure workload, have led to policy suggestions regarding how scarce resources are allocated and which departments or programs should be considered for closure or reorganization, for example. Thus the issue of faculty workload does not just affect faculty, as suggested in the meeting, but students as well, as we find our departments under threat because of perceived workload inequity. The committee must establish a sense of principles which will protect the important work done by our colleagues across the humanities. If the committee considers such issues within the consumerist mindset that defines contemporary UC administration, it will be no more than an extension of the worst elements of that administration, and do more harm to the school than good. We would like to see if not the reintroduction of a banking system for faculty advising, then something similar to it, protecting, supporting, and encouraging graduate and faculty association. Along the lines of our general concern for the support for small classes, often the only kind that can foster critical thinking as we have outlined it, we would like to see a push against the quota of students that faculty are required to teach in any given year. It has been indicated that since Gottfredsson's departure and with the new SOH Dean the stress on numbers has decreased. It seems essential for this to be institutionalized across SOH as a way of supporting the smaller and more critically minded departments we have been addressing. To the question "what makes Humanities at UCI distinctive, innovative, exciting, attractive," many of us answer CTI and CTE. Rather than further centralizing—putting CTI under a "more capacious umbrella"—seen in the trend toward single space (both literally and conceptually) that the committee outlined, we would like a commitment to the refunding of CTI as an urgent priority. We would also like either the reinstatement, or a new space, for the CTI library that grad students ran and used, and which was rather cynically taken away by order of the Dean's Office the day after Horacio Legras (who gave it to us) left the country. To address CTE we would like to see an increased commitment to funding and making available mini-seminars as well as a resolution of the senior critical-theory line hire that has remained empty following Eitenne Balibar's retirement. If what we are doing is articulating a future vision it seems important to not take things for granted. It must see the scope of its task to be a greater involvement of students yes, but more importantly to see beyond the scope of the tenured system. And if the committee is really interested in de-siloing SOH it ought not to see centralization as a solution. We hope to have not only made a number of concrete suggestions but also to have outlined a vision for the future of SOH at UCI that values critical thinking over trends of centralization, unaccountability and instrumentalization that are apparent within the UC system. Today the SOH Dean formally announced the charges and timeline of the School of Humanities Task Force he convened to "reconstitut(e) the humanities at UCI." Between now and October, this Web site will be used to collect feedback from students, faculty, and staff of the School of Humanities. This is a space to let the task force know what your priorities are as UCI begins "to think the School of Humanities from the ground up ... as if we were beginning anew." A website for those who are concerned about what humanities and social science programs have been designated "Needs Attention" (i.e. Needs Cutting) by UCI administrators. Have We Protected Poor Students from Debt?